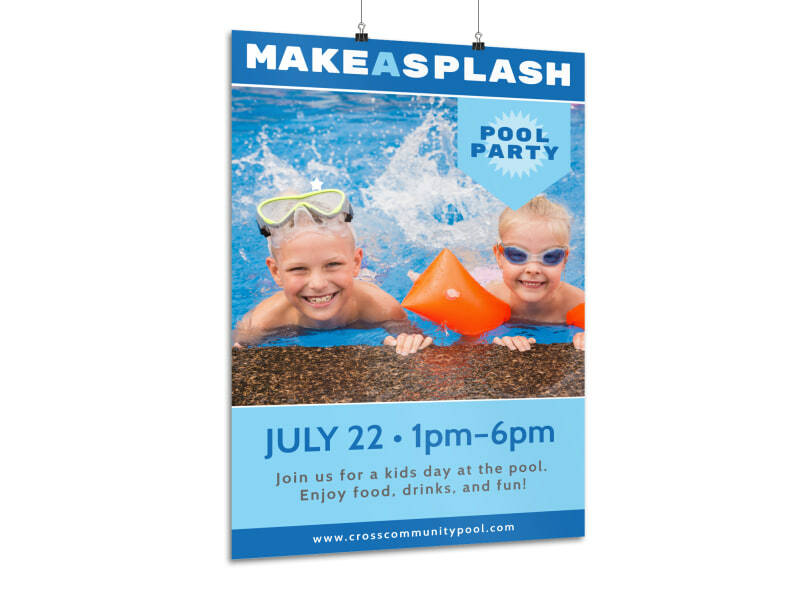 Customize our Make A Splash Pool Party Poster Template and more! 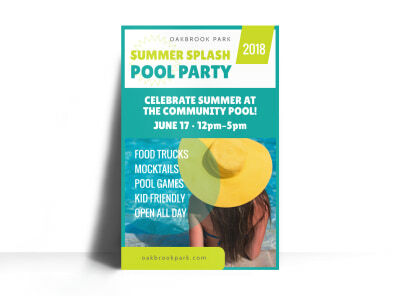 Make a splash and design a poster to let everyone know about your upcoming pool party. 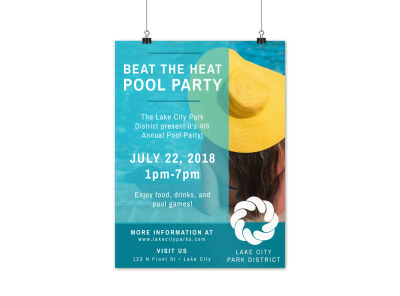 Customize this poster by adding images of your refreshing pools and choosing from many different colors and fonts to add your message in. 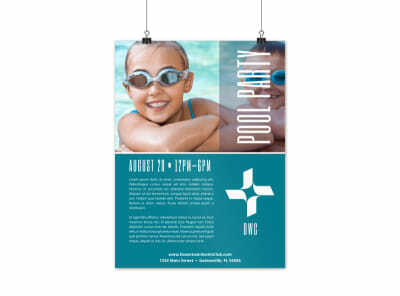 Print from where you are for fast access to your posters or let us print for you.